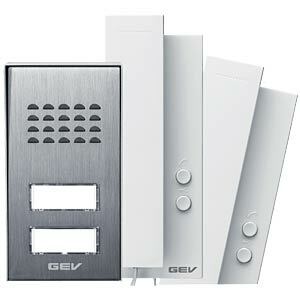 Semi-detached door house intercom system for connection to an existing bell system with 2 wires per floor. 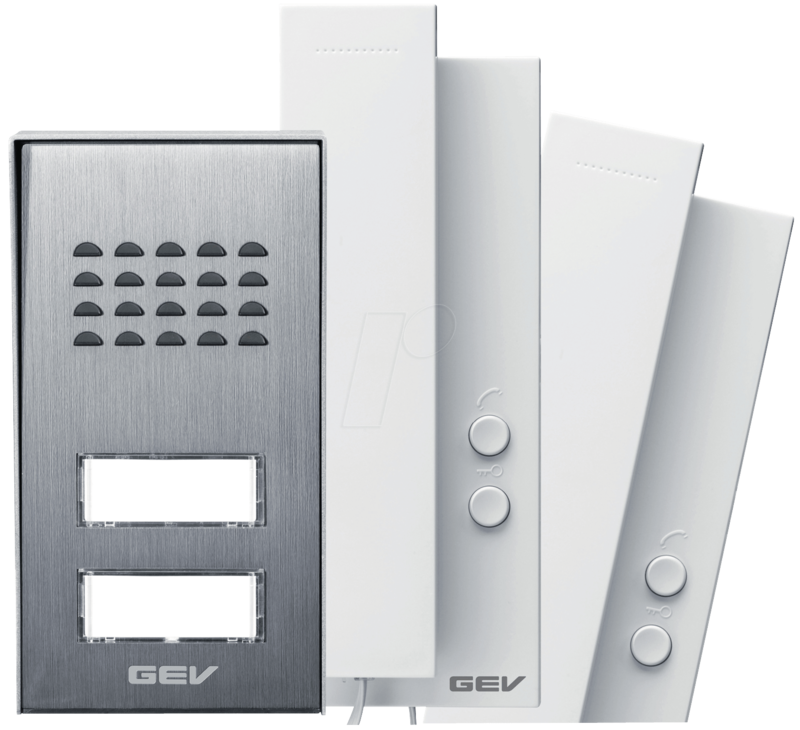 Ideal for retrofitting existing bell systems. The compact and very flat exterior unit is made of high-quality aluminium, is surface mounted and has a rain protection cover. The power supply is provided by the internal unit. The full name plate is illuminated by an LED. The plug-in power supply unit provides the exterior unit and the optional door opener (memory function) with power. The bell and talk volume are individually adjustable. Up to 3 additional handsets can be added to the system. Internal communication between the individual stations is also possible. and plug-in power supply unit.